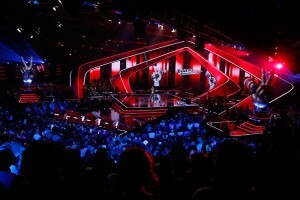 ProSieben and SAT.1 launched "The Voice of Germany", a German talent show, in November 2011. 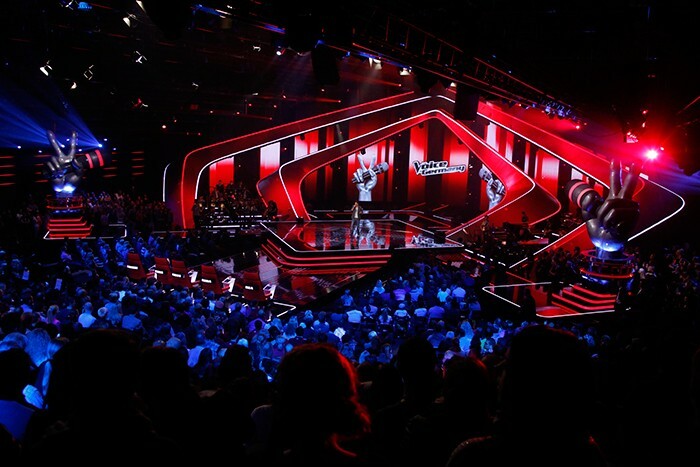 The show is based on the "The Voice" TV format, which was broadcast for the first time in Holland with the title "The Voice of Holland" at the end of 2010. The German edition is produced by Talpa Media and Schwartzkopff TV Productions. The new series was recently broadcast from Studio Berlin Adlershof. Lighting designer Manuel da Costa used about 300 moving lights, including 50 Clay Paky Sharpys and the new Elidy LED system made by the French manufacturer Chromlech, which Lightpower has recently begun distributing. Da Costa had plenty of praise for the Sharpys: "They were a great help: their light weight was perfect for the set, since we couldn't fit heavy loads. I was particularly pleased by their dominant punch and the unique characteristics of their light. As has happened before in past productions, the Sharpys became the distinguishing element of the show." Talking about his lighting design, da Costa explained that: "My task was to find a lighting concept that allowed me utmost creative flexibility, given the large number of songs. The stage had to be continuously transformed and shine with a uniform 'new light' each time. I had to put on something special, which was suitable for each song and each artist. We wanted to make the visual highlights stand out, without overburdening the set and running the risk of 'smothering' the artists." The lighting team consisted of: Michael Baganz (assistant lighting designer), Tobias Petzold (gaffer), Uli Weiß (white light operator) and Björge Block (video operator). Viola Weinert was the server farm operator. The lighting equipment was provided by MLS Magic Light+Sound GmbH.